Add a splash of colour to your childs bedroom with our easycare plain dye bed sets. Includes one duvet cover and one pillowcase. 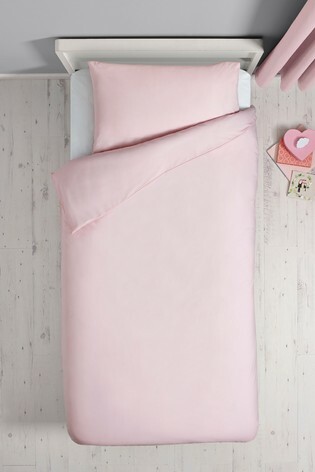 Add a splash of colour to your childs bedroom with our fitted sheets. Add a splash of colour to your childs bedroom with our plaindye black out curtains.Separate lining with blackout backing. Pencil pleat header. 2 x Curtains Main 52% Polyester, 48% Cotton. Lining 52% Polyester with acrylic backing, 48% Cotton with acrylic backing. Add a splash of colour to your childs bedroom with our easycare plain dye housewife pillowcases. 2 x Pillowcase 52% Polyester, 48% Cotton.